HÀ NỘI — Hiệp Thành Commune People’s Committee in HCM City’s District 12 has issued a decision to suspend the operation of the Mầm Xanh private kindergarten. The suspension is in connection with a case involving three female teachers who were suspected to have committed serious acts of violence against children at school, Khiêu Mạnh Hùng, head of the district’s Education and Training Office, said on Sunday. 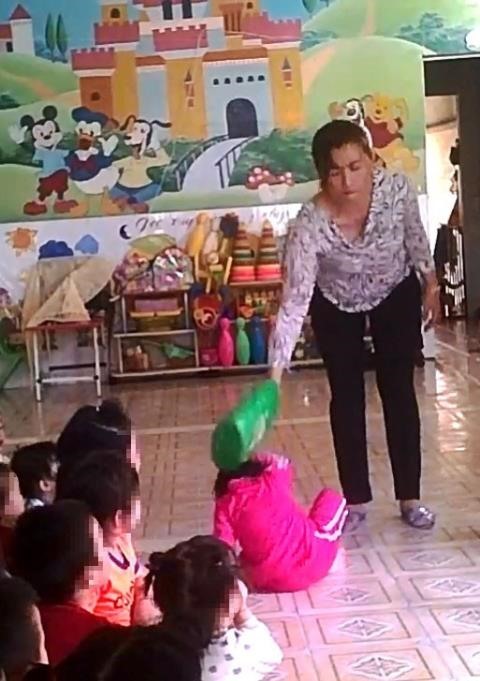 On Sunday morning, a video posted online showed three teachers of the Mầm Xanh private kindergarten slapping toddlers aged 3- 5 on their faces, heads and backs, and throwing the children in the air. The video angered the public, especially mothers. The education office has notified parents whose children were enrolled at the Mầm Xanh kindergarten to transfer their children to other pre-schools in the area to continue their education. Under the direction of District 12’s People’s Committee, the investigation was forwarded to the district’s Investigation Police Office, which handles acts of violence against children in accordance with the law. According to the local authorities, Mầm Xanh kindergarten is a private pre-school nursery with 20 children aged 3-5, mainly offspring of workers living in the area.